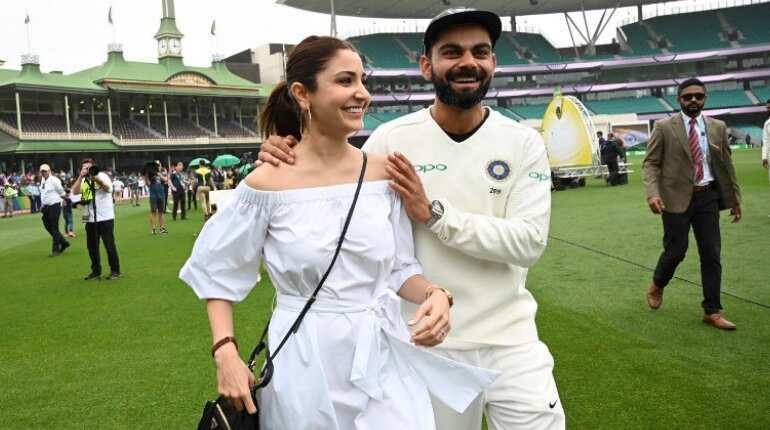 India's 2-1 victory Down Under was confirmed when the rain-affected fourth and final test ended in a draw at Sydney Cricket Ground. 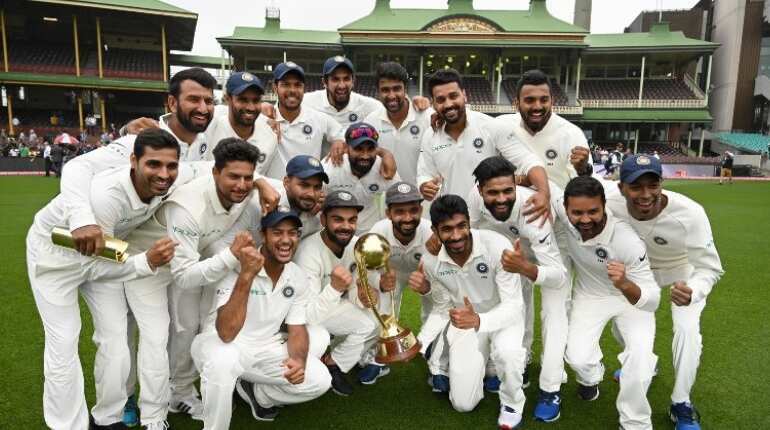 Indian cricket team on Monday scripted history as they clinched their maiden Test series on Australian soil after the fourth and final game was declared a draw due to incessant rain and bad light. 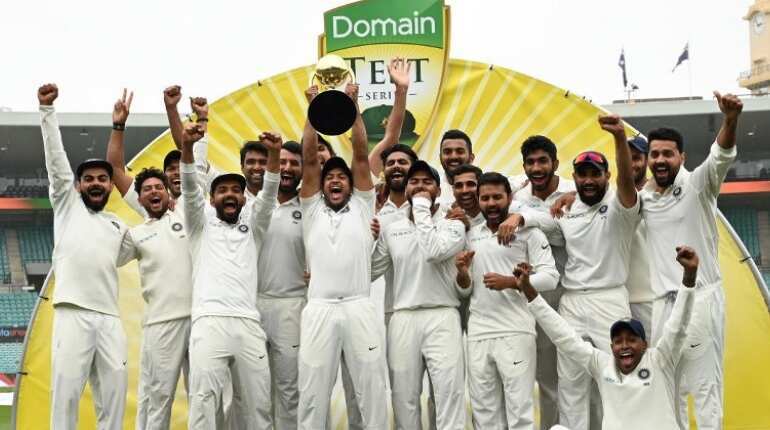 India ended a 71-year long wait for a Test series victory in Australia. It is the first time India have managed the feat since they began touring Australia in 1947-48. India clinched the series 2-1. India dominated the proceedings on the fourth day of the final match, enforcing the follow-on for the first time in 30 years. 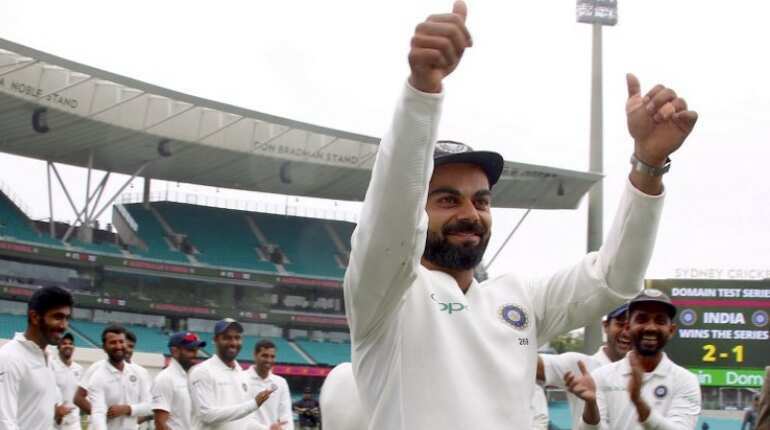 Indian skipper, who is on cloud nine after India registered a comfortable win in Test series against Australia, kissed the Border-Gavaskar Trophy and termed the victory as his 'best achievement by far'. Kohli said that this win will give them a different identity as a team. 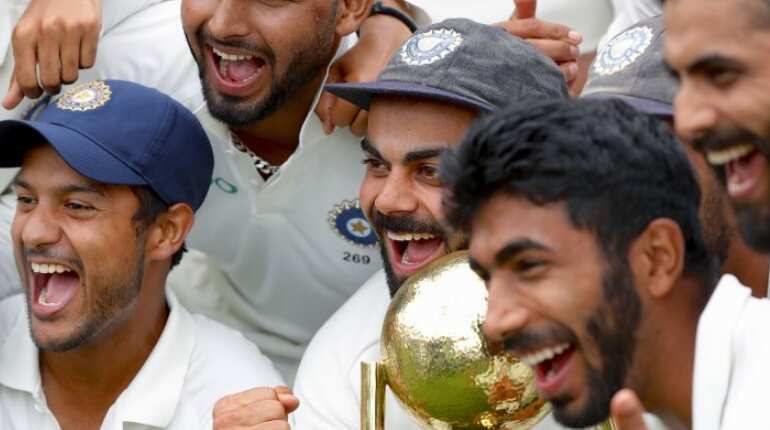 Ecstatic Indian Test players pose with the Border-Gavaskar Trophy. Their happy faces describe what importance this victory Down Under holds for them and the young players. 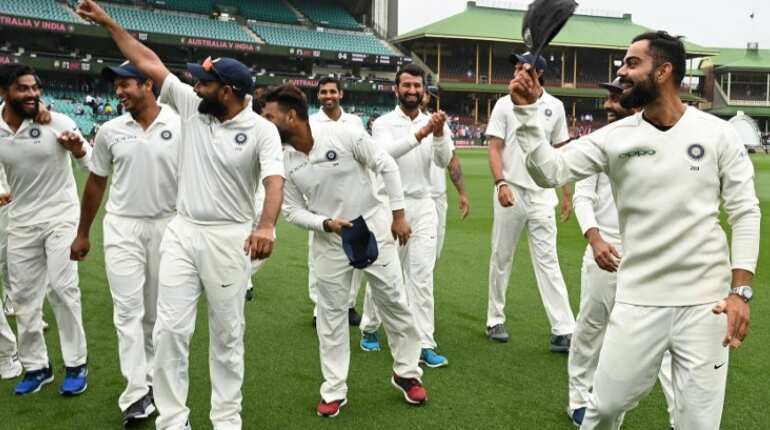 Earlier, India had ripped through the Australian tail in Sydney on a shortened day four bowling the hosts out for 300 in reply to their own ominous 622 for seven declared. Cheteshwar Pujara was declared the Player of the Match and Player of the Series for his remarkable performance. When asked how proud is he of himself, Pujara said he will work hard on his game to play white-ball cricket but Test cricket is his priority. Kohli, while addressing the media, also gave a special mention to Pujara saying he's one guy always willing to accept things. He's the nicest man around. 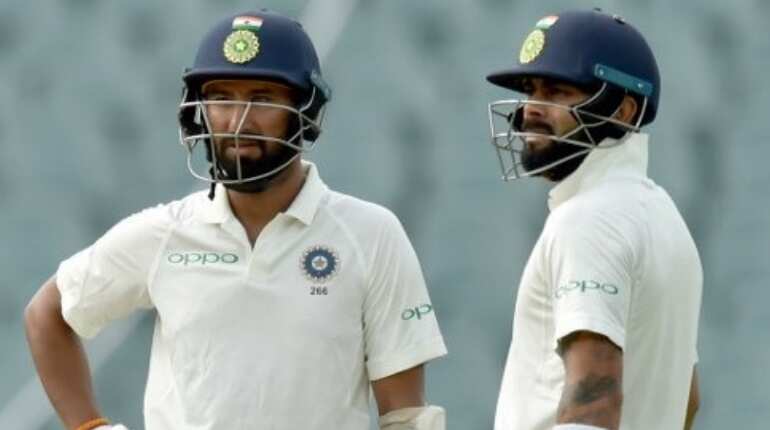 Virat Kohli also gave a special mention to Mayank Agarwal, who started his international career with a brilliant half-century in the first inning followed by a crucial 42 runs in his second inning in the third Test against Australia. In the fourth Test, Mayank slammed his second international half-century to give India the required start. Kohli also heaped praise on his bowlers, saying the way they have dictated terms in this series and the previous two tours, he has not seen that happen in Indian cricket. Australian skipper Tim Paine also congratulated Virat and coach Ravi Shastri, saying the current Indian team has got some talent. 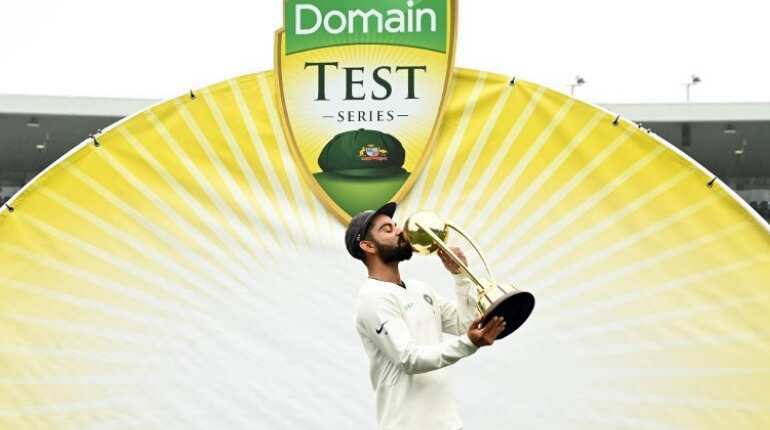 This Test series made several headlines, thanks to the mild sledging between Kohli and Tim Paine. All the conversation between the two were recorded on the stump mic which left the fans and Twitterati laughing.